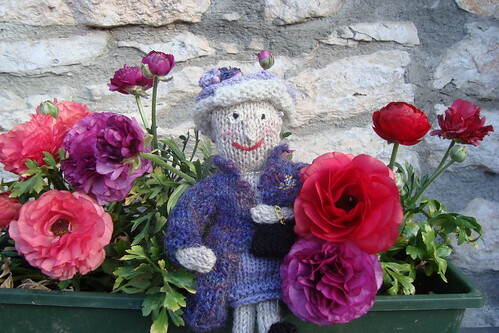 slitknits: Meet Her Majesty Betti II. 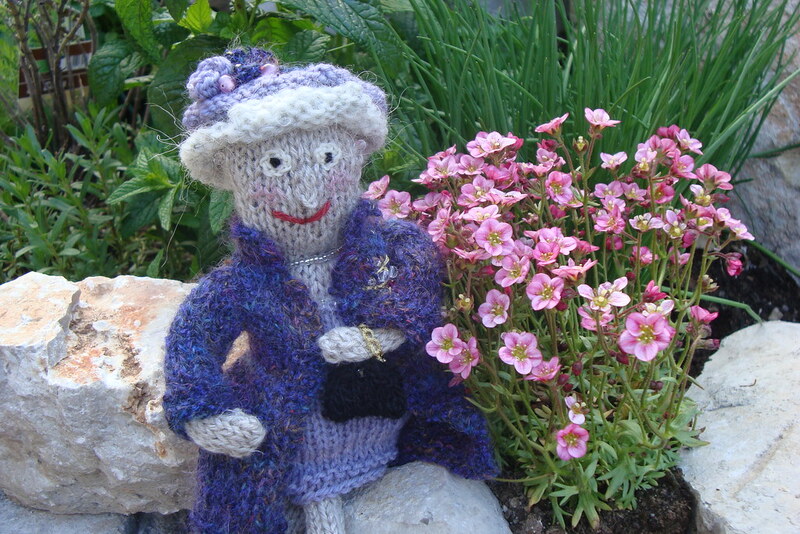 Ok, the queen is looking more like my mom than the real Elizabeth, but it was a funny knit for a lazy weekend. 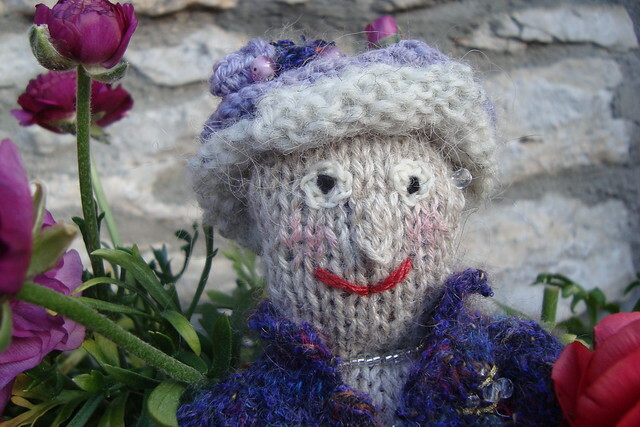 The dame I've knitted has her necklace, quite a royal broche and a funny hat. Maybe she is not dressed up for a wedding. Maybe she was cought on her way to Ascot . Anyway. She had to take a rest in my very personal garden. 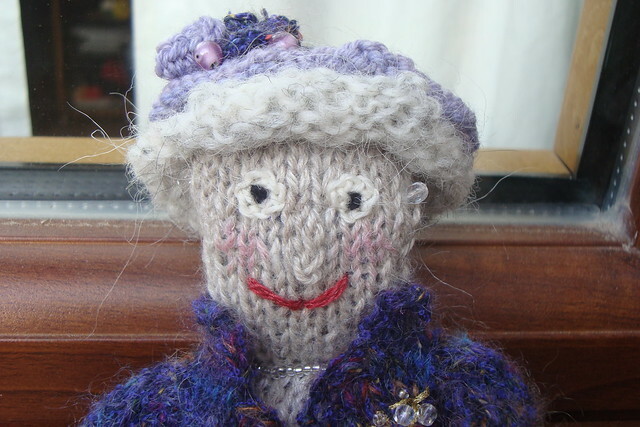 Alas, she will remain the only one of the royals I'll ever knit. 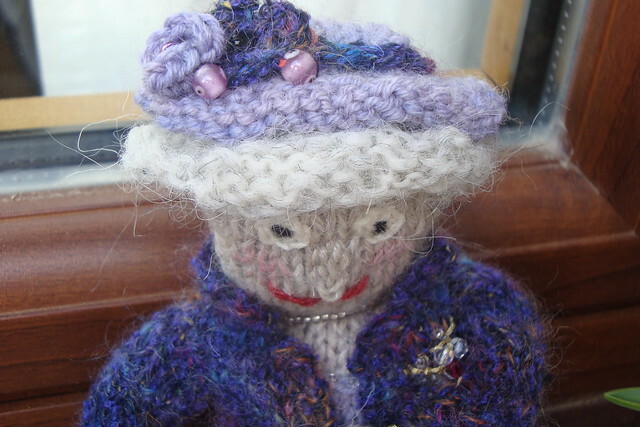 The patterns are pretty good, but I'm devoted to Alan Dart and, most of all, I'm able to knit half a vest or two plain socks in the time I knit all the parts of the queen project. 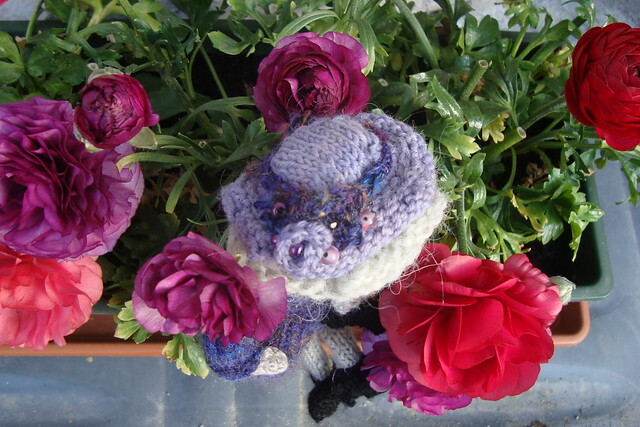 not to mention the time to sew, stuff and compose the entire doll. I'm sorry, madam, you'll remain alone. 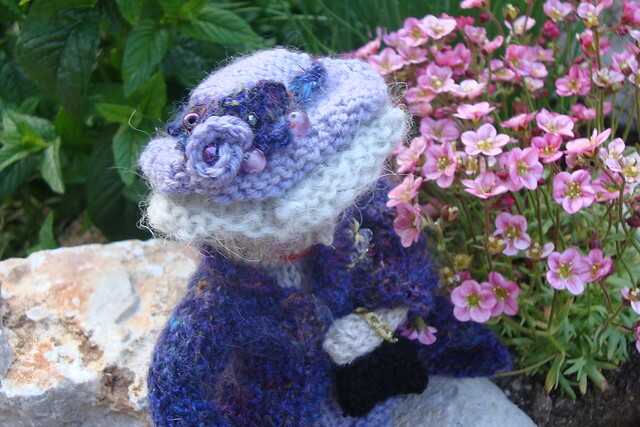 But I'll give you to my friend Mima (she is the one who gave me the big paper owl in my avatar) and she will take good care of you . I know she'll appreciate you, I just hope her dog won't chew you.